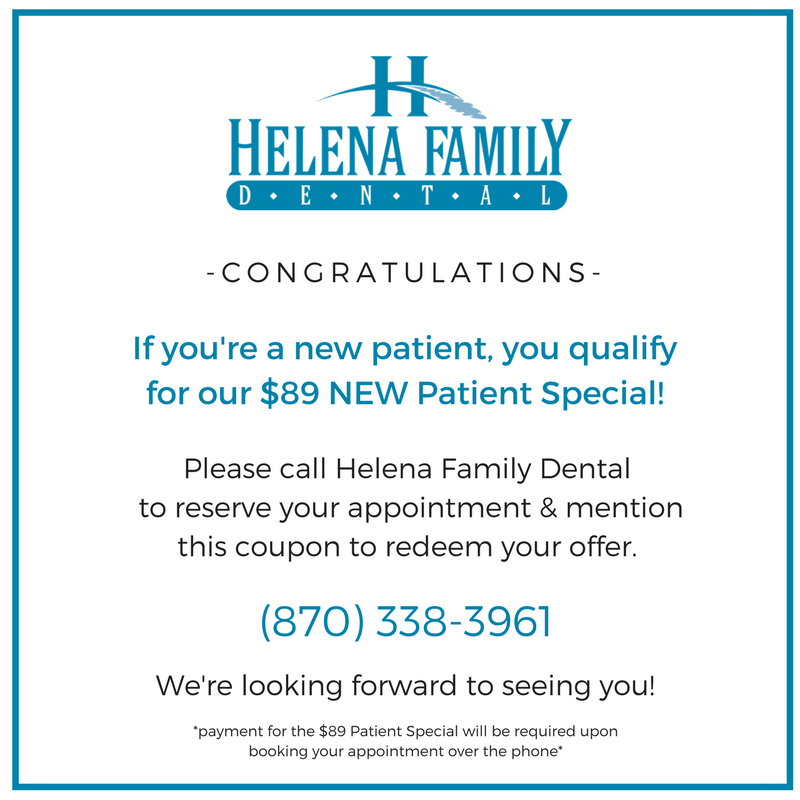 If you are new to our office, you qualify for the Helena Family Dental $89 New Patient Special! Please call 870-338-3961 below and mention this offer to redeem your coupon. Our staff will confirm your appointment and payment will be required over the phone after you’ve requested your appointment. We’re looking forward to seeing you soon at Helena Family Dental!